The National Hockey League’s offseason and ensuing free agency is nowhere near concluded, but it has been exciting thus far. Though none of the league’s biggest stars entered free agency, there have still been some pretty surprising additions. But the real excitement has come via the trade wire, where some unanticipated developments have occurred. The action started before the draft when more than a few teams participated in blockbuster trades concerning their top picks. Considering that this year’s draft class was stocked with talent—more than a few potential cornerstones of a franchise—it’s not surprising that there was so much action surrounding the draft. Sure, there haven’t been any fire sales where a team without much room for improvement has completely unloaded its current roster to begin rebuilding. But the off-season isn’t just about player movement and transactions. General managers have been let go, front offices realigned, and coaches have found themselves unemployed. And while these moves weren’t the ones breaking news, they still can have the same, if not more, effect than the addition or loss of a few players. A new coach can single handedly turn around a team given the right circumstances. Considering all of that, here are four of the biggest surprises so far of this young NHL off-season. Although Detroit Red Wings coach Mike Babcock is just that—a coach—he was by far the most coveted free agent this offseason. Though the Red Wings persistently offered him deals throughout the season trying to avoid him hitting the free agency market, when he turned down big money in the fall, it seemed likely he would become a free agent. And when you combine that with the fact that he’s the Canadian national team’s coach for the Olympics, if he went elsewhere, it seemed like it would be a Canadian team—enter the Toronto Maple Leafs. 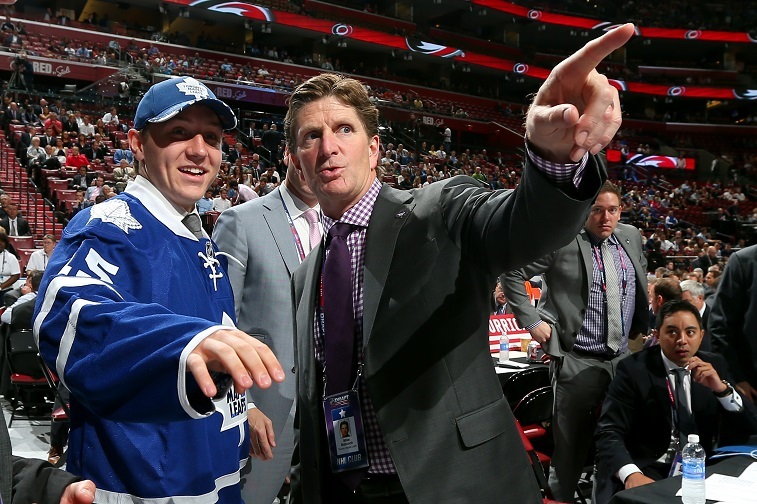 The real surprise is that Babcock chose to join a rebuilding Maple Leafs team. When they finished the 2014-15 season with the fourth worst record in all of hockey, you knew change was coming. But Babcock left the Red Wings—a team that has appeared in the playoffs a record 24 straight times—for a team that might not see the playoffs for at least a few years. Either way, Babcock’s loved in Canada, so he’ll definitely have some leeway in his first couple of seasons. Oh yeah, and the money probably made the decision a little easier: $50 million over eight years, making him the league’s highest paid coach. The real risk, though, is leaving a sure thing and ideal situation he had in Detroit for one that could blow up in his face. 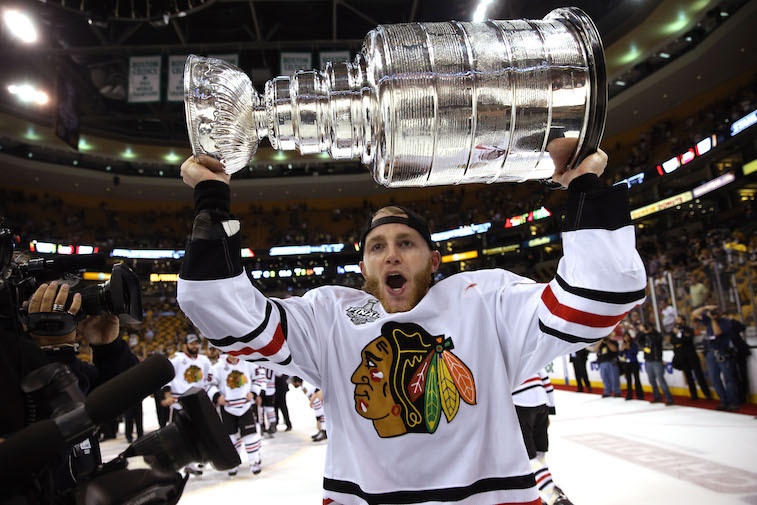 For a team that just won its second Stanley Cup in a three-year stretch with a very similar roster, the Blackhawks sure made some noise this offseason. Chicago traded two pivotal pieces, forwards Patrick Sharp and Brandon Saad, in an apparent move to free up salary cap space. The Blackhawks did get a lot of youth in those trades with the Dallas Stars and Columbus Blue Jackets respectively, however, they also gave up a lot. They gave away present success to gain future success. While Sharp is more of a wily veteran, the 23-year-old Saad had 23 goals and 29 assists this past season and has yet to reach the peak of his career. But Chicago already has forwards Patrick Kane and Johnathon Toews locked into long-term deals, and considering the amount they’re making, the team’s payroll was high as it is. 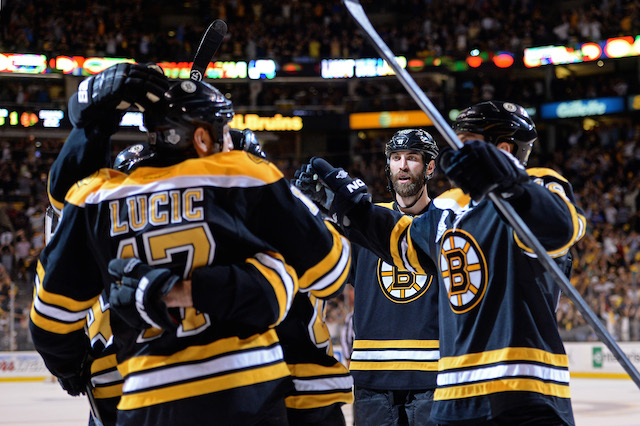 Similar to the Blackhawks, the Bruins won the Stanley Cup in 2012, and at the time, appeared to have one of the deepest lineups in the league. After a relatively unsuccessful 2014-15 campaign, though, the front office decided to shake things up. The team traded forward Milan Lucic, who some consider one of the league’s best forwards, before the draft to the Los Angeles Kings for their first-round draft pick. Though Lucic is 27 years old, his eight years in Boston saw him score more than 20 goals three times, and also record more than 50 points for a season three times. This move, among other trades the Bruins were involved in, shows they’re doing a little rebuilding of their own. Following the Lucic trade, they had the 13th, 14th, and 15th picks in the draft. With that, they were able to draft not one, or even two, but three players who can step in sooner than later and make an impact. For a team that’s not in desperation mode—they barely missed the playoffs this year—the Lucic trade coupled with the stock piling of young players was the real surprise. It’s very possible that the Phoenix Coyotes might not be the Phoenix Coyotes in the next few years. 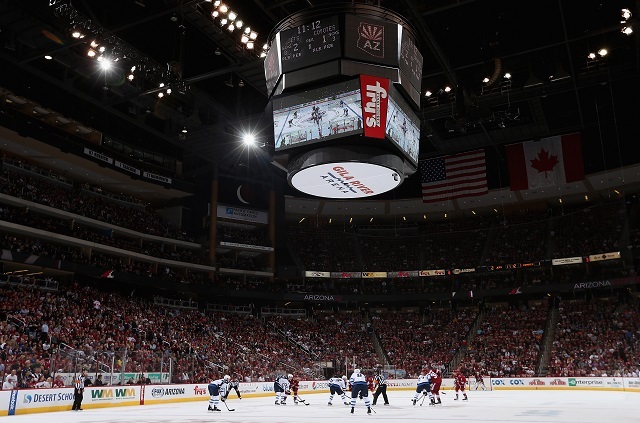 After the City Council of Glendale, Arizona voted to cancel the team’s lease in June, it started a dispute that might end with the Coyotes’ owners deciding to move the team elsewhere. The city used a loophole in the contract—a contract that already results in the city losing about eight million dollars per year—to cancel the agreement. There has been speculation that the league might be looking to bring a team to Las Vegas, and Sin City might be just the answer for the turmoil in Phoenix. Also, when you consider that the Coyotes were the NHL’s second worst team in 2015, lack of success makes it a lot easier to backtrack on a team. But despite all that, the City and the team’s ownership have been negotiating, and until more develops from said talks, the Coyote’s future remains in the lurch.